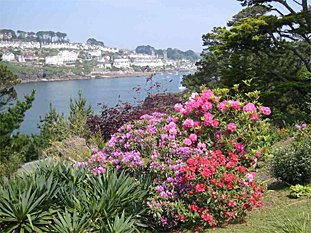 Headland is a 1¼ acre cliff garden with sea on 3 sides, situated on the estuary of the river Fowey to the North. 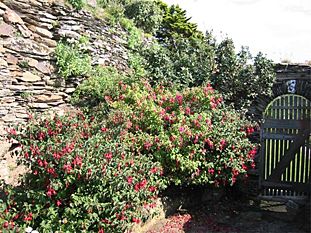 There is an access to cove for bathing. 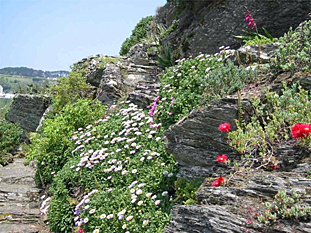 The garden is carved out of layers of rock, but despite the regular buffeting it receives from the South-westerly gales there is colour at most times of the year.